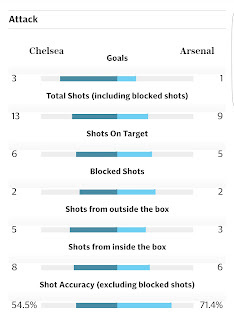 Arsenal had to win to stay in the title race and to stop Chelsea. Chelsea- Courtois, Azpilicueta, Luiz, cahill, Moses, Alonso, matic, Kante, Pedro, Hazard, Costa. The 3-4-3 formation and this is what Conte uses in most of his games. So, no surprises in the Chelsea lineup. Arsenal- Cech, Koscienly, Mustafi, Bellerin, Monreal, Coquelien, Chamberlain, Ozil, Iwobi, Sanchez, Walcott. Wenger decided to go with 4-2-3-1 formation with Ozil and Iwobi on the wings and Sanchez just behind Walcott. 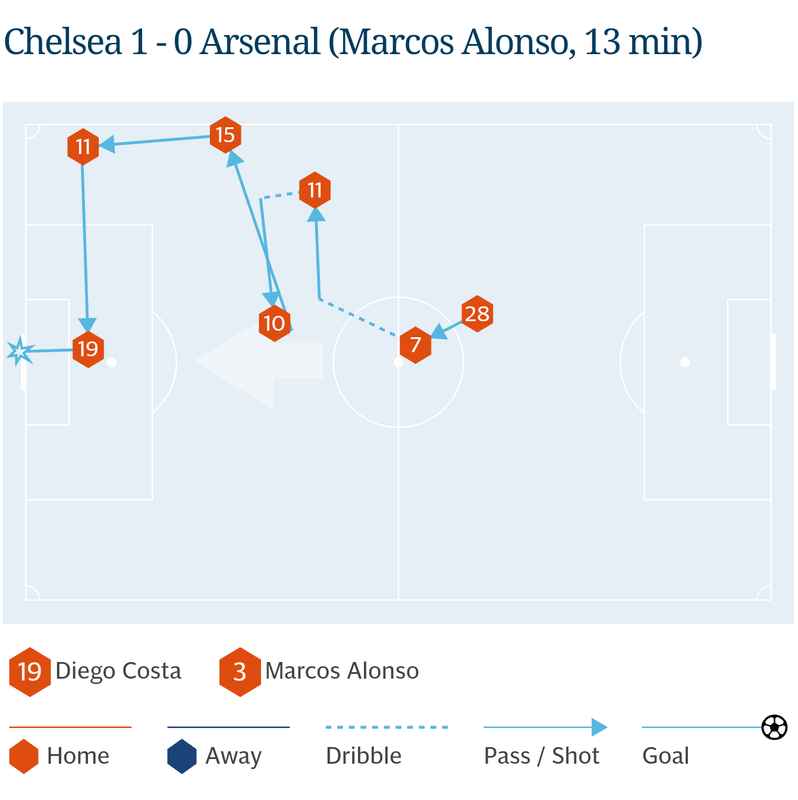 The problem with this is there is no one one to cross into the box who can be strong like Costa for Chelsea. This limits them to play a passing game and not direct. I would have liked to see Ozil dropped as he is not performing in last few matches and wellbeck to have started that would give them more pace on the wings. 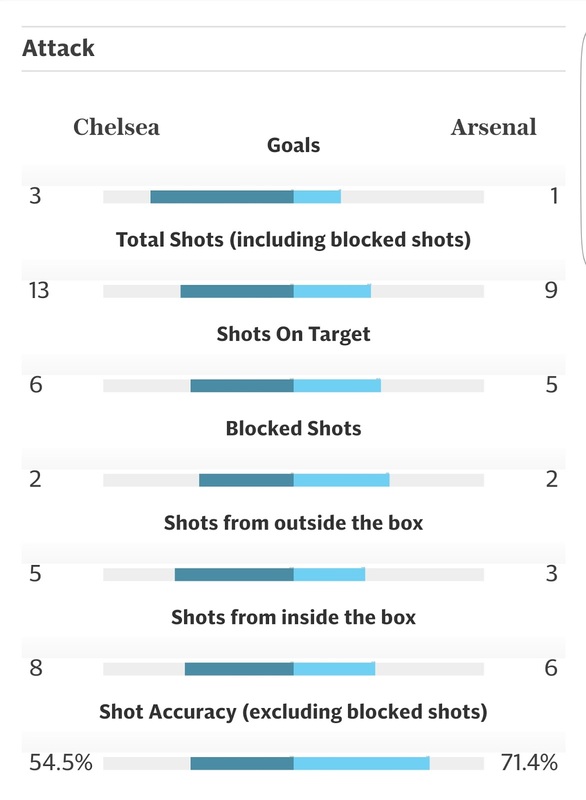 Arsenal had been outplayed and "outgunned" the entire evening as Sanchez and Ozil were dull compared to Hazard and Pedro. 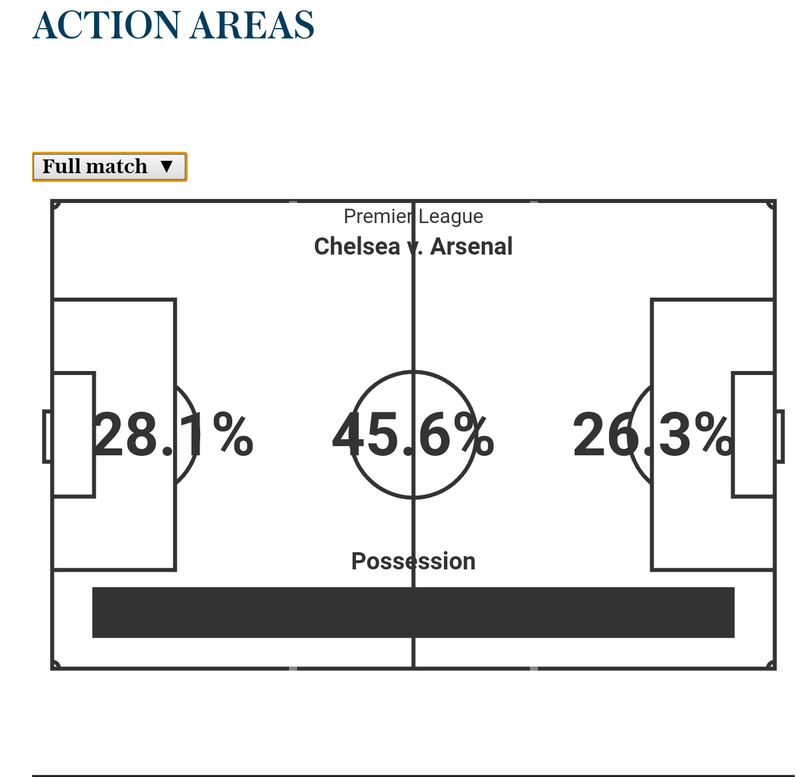 Hazard was in scintillating touch as he troubled arsenal all over the field. 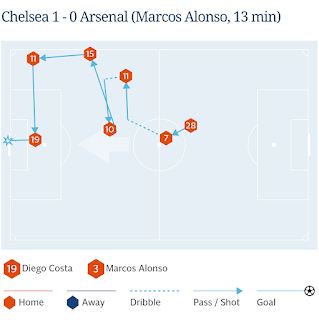 For the first goal Costa headed the ball and it hovered in the penalty area as Alonso came charging in and elbowed Bellerin and headed it home. I personally thought it wasn't a foul and not intentional but wenger had different thoughts. Hazard's goal was a delight. 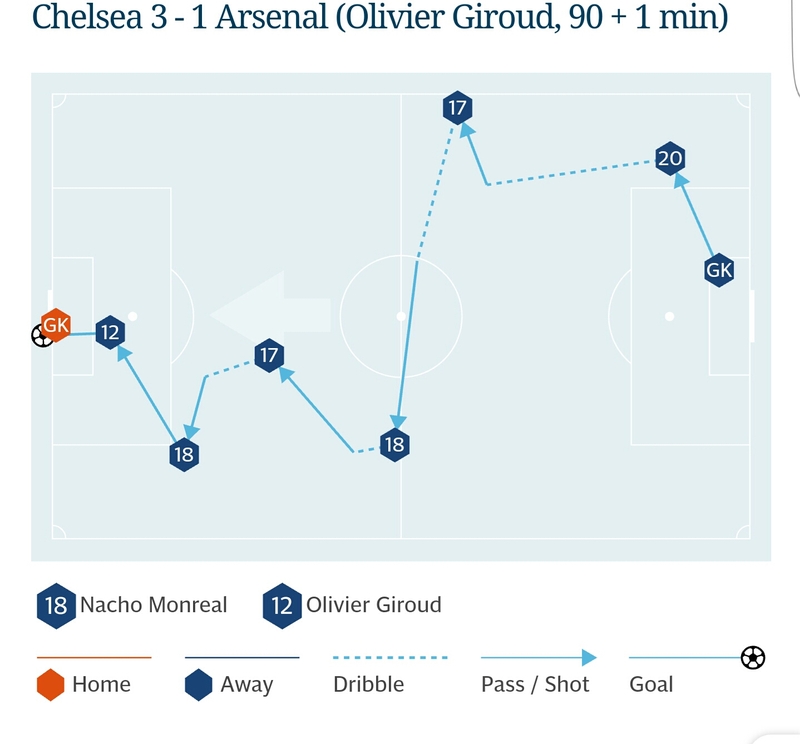 He received the ball at half court and powered through arsenal's defence and shrugged off Coquelien and finished delightfully over Cech. 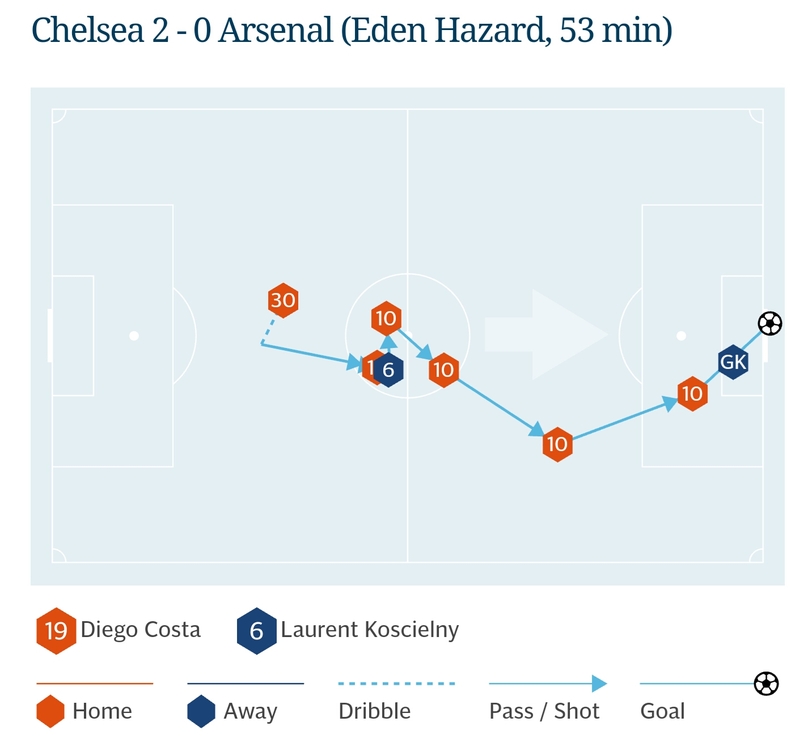 The 3rd goal was a gift by a former Chelsea keeper to a former arsenal player.Fabregas delightfully chipped it over Cech to make it 3-0. Wellbeck came on later and was looking very dangerous . He should have started . 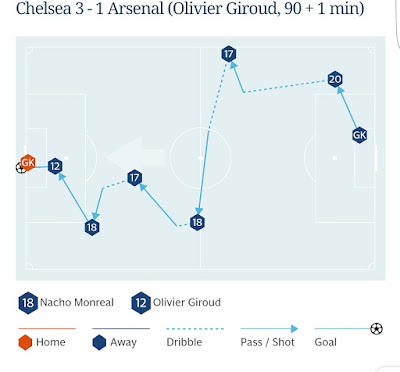 Giroud made it 3-1 heading it in the near post maybe Courtois could have done better.